Riyad Mahrez made his debut and Joe Hart played 45 minutes as Man City were beaten 1-0 by Borussia Dortmund in their opening pre-season clash. Dortmund won the International Champions Cup clash via Mario Gotze's penalty (28) after Oleksandr Zinchenko had fouled Christian Pulisic, but it was a decent run-out for the Premier League champions as two faces, one new and one familiar, turned out. City gave Mahrez a debut in Chicago alongside a host of young players, including Douglas Luiz, Jack Harrison, Lukas Nmecha, Eric Garcia, Brahim Diaz and Luke Bolton. 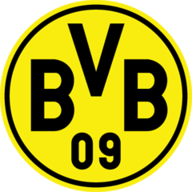 But Dortmund, who fielded a stronger XI, took the lead on 28 minutes during an uneventful first half, Gotze slamming the ball down the middle from the spot after Zinchenko had clumsily left a leg on the impressive Pulisic. City had just one shot on goal in the first half, and it came in the final minute as Mahrez's deflected free-kick was superbly tipped over the bar by goalkeeper Marwin Hitz. Goalkeeper Hart, who has made just one competitive appearance for City under Pep Guardiola, replaced Claudio Bravo in the second half, and did well to beat away Mahmoud Dahoud's fierce effort from 15 yards, before Maximillian Philipp turned the rebound wide. It ended 1-0 to the German side, but Mahrez's performance was a bright note for City, while Hart did his chances of a revival at the club no harm with his second-half cameo. 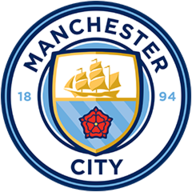 City now face Liverpool in New Jersey on Thursday morning at 1.05am, before facing Bayern Munich in Miami at midnight Saturday.